My eyes were red and swollen. The more I rubbed them with the back of my hands the more tears started flowing out. Why did I put myself through all this? I grabbed a tissue and wiped the remaining tears away then continued with the horrible task in front of me. This is what it was like to cut 2kgs of onions to make my onion soup the other day. Whenever my brother begged me to make onion soup for him, I’d reject his idea without a second thought. Cutting onions is my pet peeve around the kitchen as I’m very prone to tearing up from the onion juices (like most people I’m sure). This is the only time I wish I wore contacts, although this wasn’t feasible as I’m not shortsighted. I made most of the onion soup though and that took a long time, stirring constantly to get the onions caramelised. If you want to make this soup, it’s better to prepare a little before it’s needed so there’s enough time to caramelise and cook the soup down for the right flavours and consistency. 1. Melt butter in a large saucepan on low to medium heat and add in onions and sugar. 2. Caramelise by stirring constantly (or every couple of minutes) until onions are browned and caramelised. This takes roughly 50 minutes. 3. If you like your soup a bit thicker, add in flour now and stir for roughly 1 minute. 4. Add in beef stock (or water and condensed stock cubes according to packet instructions), thyme and brandy (or red wine) and cook for 15 minutes, tasting and adding more water/salt as you prefer. 5. While the soup is cooking, preheat oven to 180C. Place gruyere on top of each baguette pieces and grill in the oven for roughly 10 minutes, or until the cheese is melted and the bread is crispy. 6. 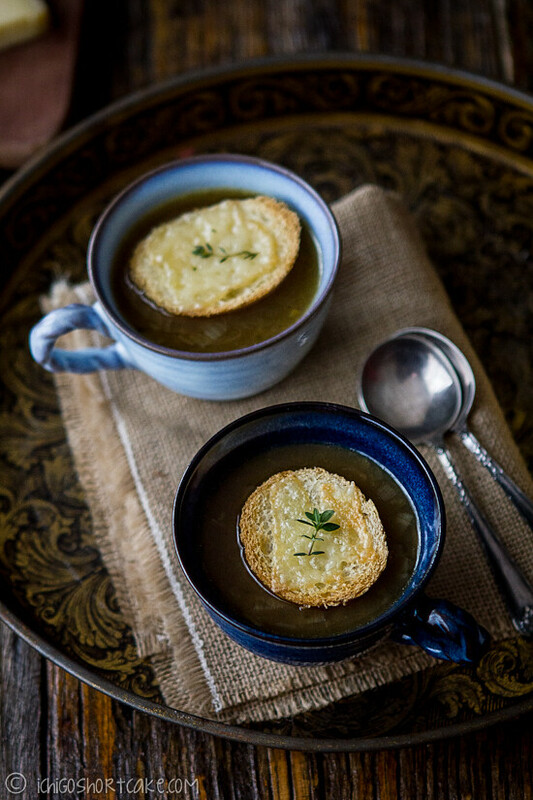 Serve soup in a bowl topped with a piece of baguette. 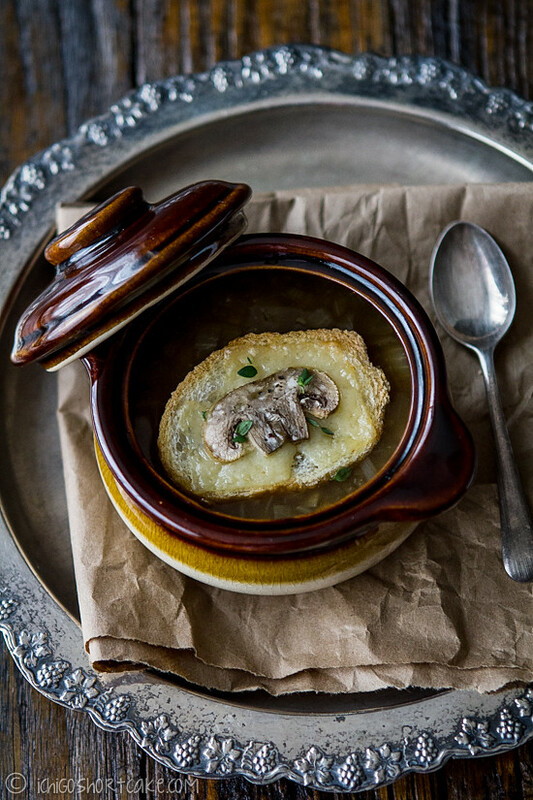 Alternatively, you can place the cooked soup in an oven proof bowl, top with toasted baguette (without the cheese) and top baguette with grated/sliced gruyere cheese, then bake in the oven until the cheese is melted. I didn’t do this as this process takes longer and makes the bread soggy before serving. Question time: What’s your pet peeve in the kitchen? Do you often cook for big family gatherings? Beautiful clicks and recipe! A wonderfully comforting soup. Gorgeous photos! I don’t think I could cut all those onions in one hit! Really like the use of a brown paper bag as a background. I’m usually OK with cutting up onions, although like everyone they do sometimes bring tears. I prefer to chop by hand, but with that amount of onions I’d be tempted to use the food processor. 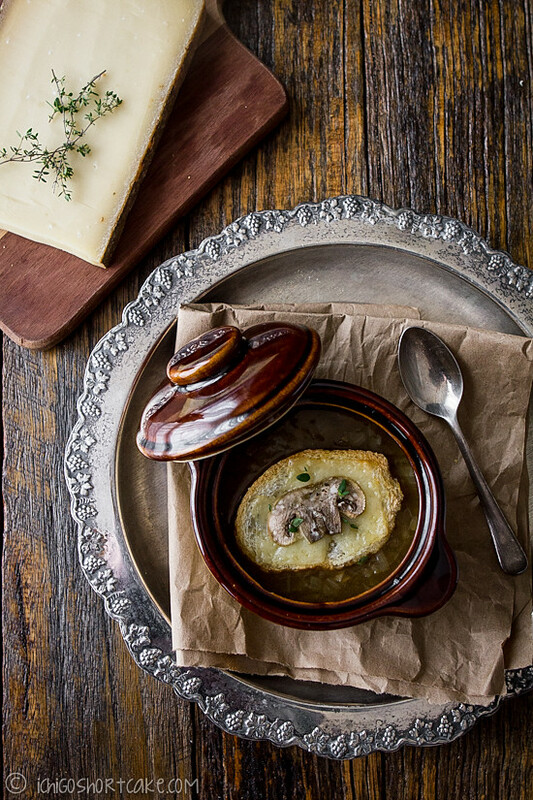 Good post – I haven’t had French onion soup in ages, and now I’m craving it! It wasn’t actually a brown paper bag, it was brown wrapping paper that came with something I bought online. 😛 But now that you mention it, it does look like a paper bag! In hind sight, I guess my tears were worth it too. 😛 Didn’t feel like it at the time though! haha. This is perfect for cold nights… and since it’s winter here, I’m going to make it. I love french onion soup. Simply tasty and stunning photos! Jenny, this is training for the onion challenge on masterchef 😛 This looks so good. 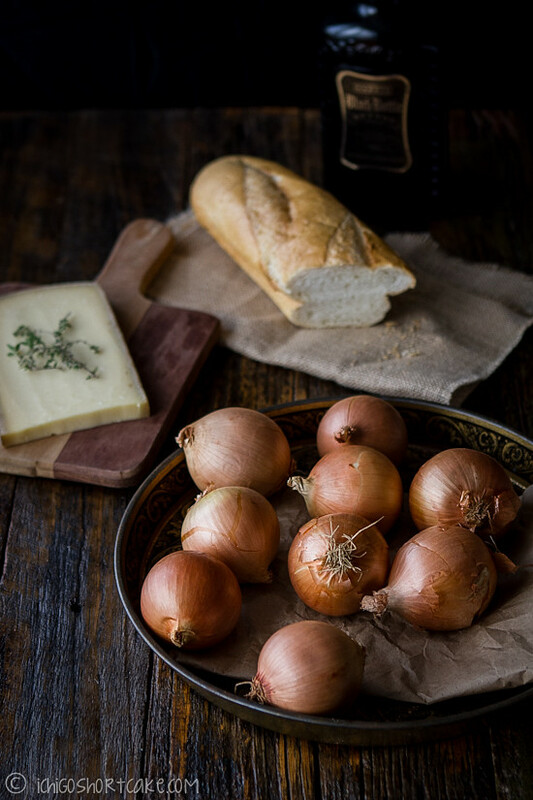 I had onion soup in cambodia and I can just imagine how amazing it would be to have french onion soup on a cold winter’s day. This is by far my husband’s most favorite soup! I remember we made French Onion Soup before for Christmas dinner and it was delicious. I forgot how we made it but I remember it took a long time to caramelize the onion. I forgot which recipe we followed, but now I have another recipe to try it on. And onion crying… not so looking forward to it. I usually keep them in fridge for a while (that’s what I was told by someone) and then run in water before I cut (technique from my mom). Hopefully my eyes won’t suffer! Really looking forward to this soup. How much stock did you use? A friend served FOS recently with a dab of English mustard and a splash of sherry. Divine.